Generating leads online can help bring the business to you, so you’ll be attracting clients without the hassle. Lead generation means taking measures to get these leads to come to you, and it’s an extremely important part of real estate business. In fact, RE/MAX Regional Director Manaan Choski, argues that lead generation is the most important aspect of a real estate business. This is because the entire real estate cycle begins once you connect with a client. And agents who develop a successful system early on set themselves up for success. The strongest type of lead you can generate is a referral from a previous customer, and many experienced agents are able to run a significant portion of their business this way. Learning how to generate leads through other methods, especially technology, is a vital skill required for any agent, novice or veteran. Don’t believe us? 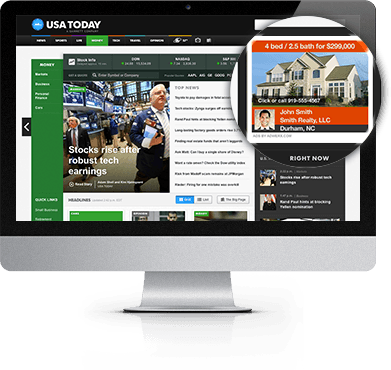 In this post about converting online impressions into customers, Rob Wachter cites a Forrester Research finding that companies that excel at lead nurturing generate 50 percent more sales-ready leads at 33 percent lower cost. Below are some specific tactics that can help you integrate these ideas into your lead generation system to attract and retain potential clients. Choski says that for a buyer, the first agent who comes to mind is usually the agent who gets his lead. In today’s digital world, this means that it is important to be visible everywhere your buyers are spending time online, including social networking sites, a real estate blog and a website for your real estate business. You may also consider the use of online advertising. Also familiarize yourself with SEO practices. A simple google search of keywords related to your business could point a strong lead toward your website. One of the top lead generation tips from realestate-technology.com is to use networking to your advantage to get to know people. Any connection you make could turn into a potential lead. 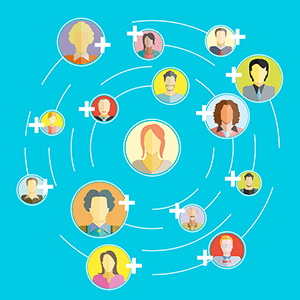 Use your social networks — Facebook, Google+, Twitter, Pinterest, YouTube and LinkedIn — to network with people in your community. Pay attention to individual fans and followers, and be sure to interact with them outside of updating your own content. Active engagement is a key component to nurturing a lead. When you do good work, people will naturally want to work with you. Therefore, it is important to make sure you are creating and providing quality content when it comes to your online presence: It could be the very first impression a buyer has of you. Provide items of value that will demonstrate that you are a thought leader in the real estate space and also help the client in some way. Examples of items of value could be blog posts about the real estate industry, a checklist for what to look for when purchasing a home or information about the areas you serve. Check out more ideas in our post on content marketing ideas. Be sure that your contact information is easy-to-find and also provide a field where your clients can provide their own email or phone number so you have access to their contact information. If you are running a blog, you will want to provide clients with a place where they can subscribe. Since lead generation involves developing a relationship with your potential client, also seek ways to make them want or need to return to your website or social networks. Wachter compares lead generation to dating in one of his posts, which is a very fair comparison. Building leads takes time and effort, even when you may have inbound leads coming to you. It is important to obtain contact information from leads so you are able to take the conversation offline and begin building a personal connection with your potential client. No matter where the leads are coming from, one practice is true for all of them: It is imperative that you continue to pursue them and keep the conversation going. Even if a lead isn’t initially interested, they may be at some point. If you provide excellent service now and prove your worth, they will remember you when they are in need of an agent. These are just a few ideas to get your mind churning on how you can get leads pouring in without spending all of your time and energy seeking out potential clients, and there are many ways to keep your referral base strong. What tips and tactics do you have when it comes to real estate lead generation online? How do you leverage LinkedIn for Real Estate? Ask Italina Kirknis!